Do you like...yes or no survey for Kindergartners to ask each other. 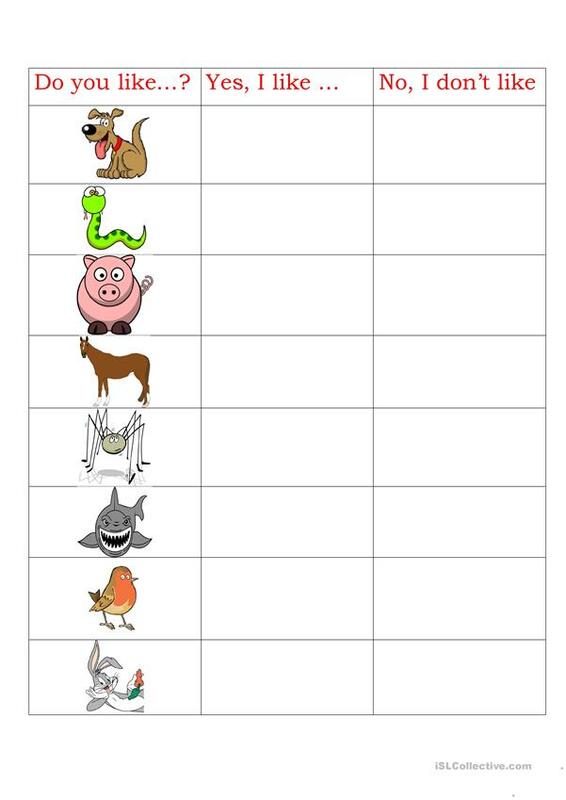 Helps kids with animal names and using full sentences. Very repetitive question to get the kids to remember the questions. This downloadable printable is recommended for kindergartners and nursery school students at Beginner (pre-A1) level. It is a useful material for practising DO or DOES in English, and is excellent for strengthening your learners' Speaking skills. It focuses on the vocabulary topic of Animals. lsedwick86 is from/lives in Germany and has been a member of iSLCollective since 2013-01-11 13:26:42. lsedwick86 last logged in on 2019-01-28 20:40:44, and has shared 1 resources on iSLCollective so far.